My flare inspiration is coming from one of my style icons, stylist to the stars Rachel Zoe. This illustration from her book Style A to Zoe has stuck in my head as a great way to wear the flare! Rachel Zoe wears the 70's style glamour so well, there are lots of fabulous street-style images of her on Pinterest which inspired me to have a little trying on sesh! These are just of few of my favourite looks from the Zoe! So first up, after the original illustration inspiration in the first pic, I went with a fur gilet look! More than a touch of the 70's Huggy Bear look....lol! Next up is an outfit I wore out for a quick early evening supper to the local curry house....any excuse to dress up a bit, especially incorporating my new Muubaa biker jacket, a Forever 21 tee and M&S Boots. 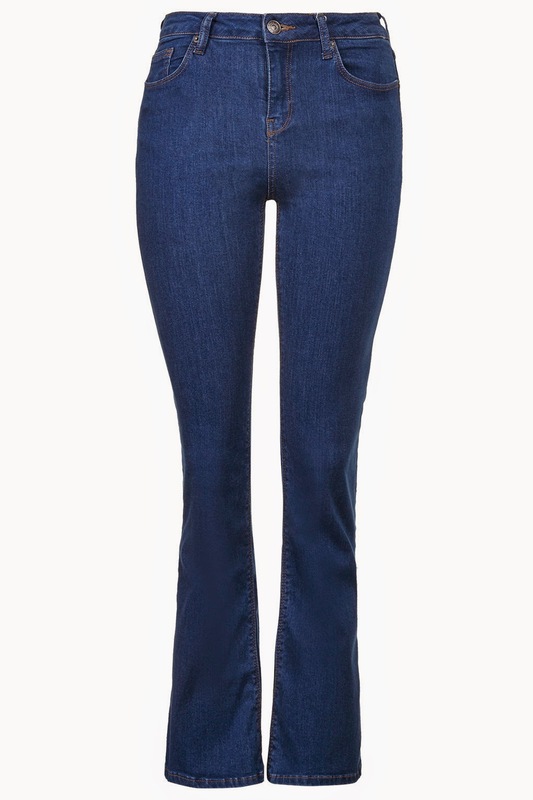 I love the way that Rachel Zoe wears her flares with a short fitted jacket, which was what inspired this look. Excuse the slightly startled expression here! Lastly, based on her military look above where she just so happens to be sporting another one of this season's big trends, I tried them on with my new Primark khaki shirt and Aldo boots. 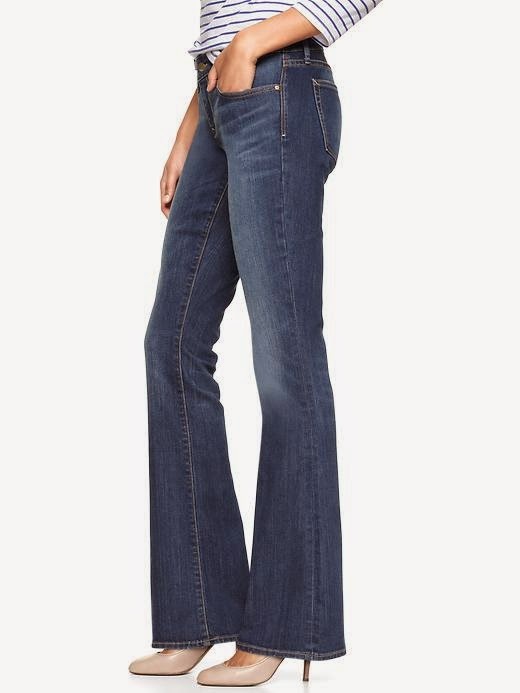 I have had my flares for years but they were about 2" too long and so I had only worn them once with sky-scraper platform wedges in the Summer! I dug them out and had them taken up.....happy days as it meant no new purchase for this trend! 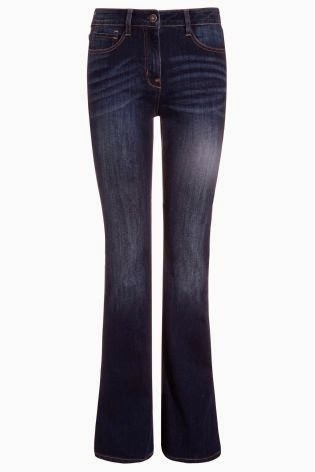 :0) Here's a little round-up of the flares I've found on the High Street though! Starting with Zara where mine originally came from! Finally a couple of outfit shots where I've still been experimenting with the #fromwhereIstand pose instead of the usual mirror selfie! So, have you unearthed a pair of flares from the depths of your wardrobe or are you eyeing up what the High Street has to offer and investing in a new pair? Looking gorgeous in your flares Michelle. I got rid of any flares in my wardrobe years ago. As much as I love them on you & others I'm still undecided if flares are for me but give me a month or so & you just know I'll be jumping on the bandwagon!! I was looking forward to this post - I need pointers on how to wear for the cold months - I've no problems with the warmer months - I've a ton of tops to wear with them. And I have to laugh that despite having some flares which fit the bill ... we still need more. It's always the way isn't it? And I'm one for the Nicole Richie camp rather than Zoe (LOL) though they are practically cut from the same cloth aren't they? I'm the opposite Sue...I shall be looking to you for inspiration on how to wear the flares later on in the year! I do love them with a short fitted jacket and the shirt looks great with them for transitional times with boots! I have to say, I'm with Sue - I worship at the church of Nicole Richie, but I am stunned by that second photo of RZ, and I absolutely love the shot of her in the blue suit! You have interpreted those looks so well in all your outfits, but I think my favourite has to be the khaki shirt and boots. It makes you look really tall and slim. 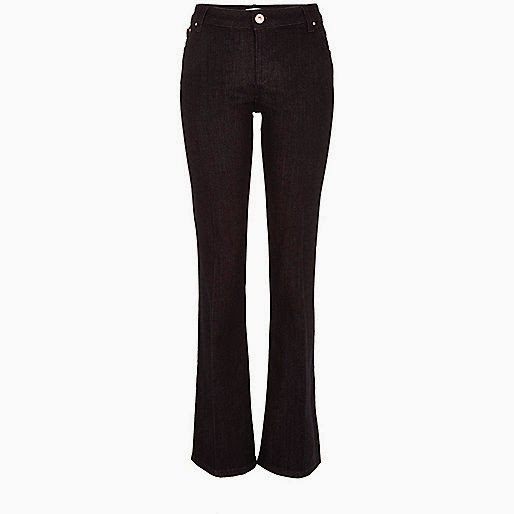 I've got some Zara wide-leg flares that I bought before Christmas, but I think I would also like some that are a bit more fitted and flared, if you see what I mean? I think they'll really come into their own in the Summer, but I have a brown leather blazer in the wardrobe that's just crying out to be brought out this season, and I think it might be just perfect with flares. Watch this space! I can see I'm about to lose a couple of hours to Pinterest now while I catch up with you and Sue and check out Nicole Ritchie properly! I was properly obsessed with Rachel Zoe when you could get her TV show over here a fews back, nowadays I tend to only get the odd peek at what she's wearing via Mail Online! Look forward to seeing how she will translate the 70's style now that's it high fashion again! 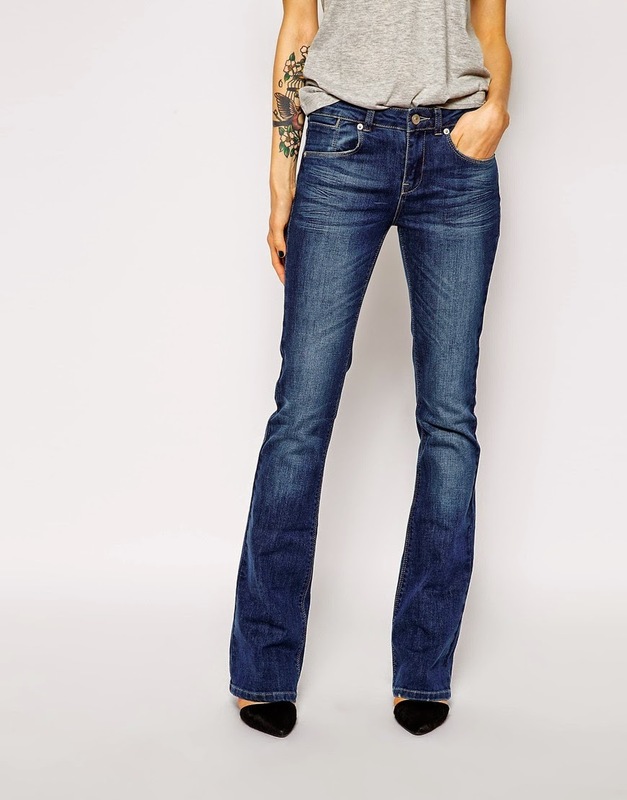 Am I the only person who no longer has flares in her wardrobe? Damnation on my obsessive de-cluttering!! Love the look with the khaki shirt and curious to know if Rachel Zoe is tall? Because if she's not, the flares are certainly giving that illusion! Will be interested to hear how the RI ones work out ... given that I'm clearly in the market for a pair!! They look fab on you Michelle....I need to try some on! Have a good week,been out of the loop a bit with blogging due to setting up new site with my daughter:) Slowly catching up with all my favourites! My favourite pair of jeans ever are fitted flares with a ton of stretch that I bought about 6 years ago in France, I ADORED them!! 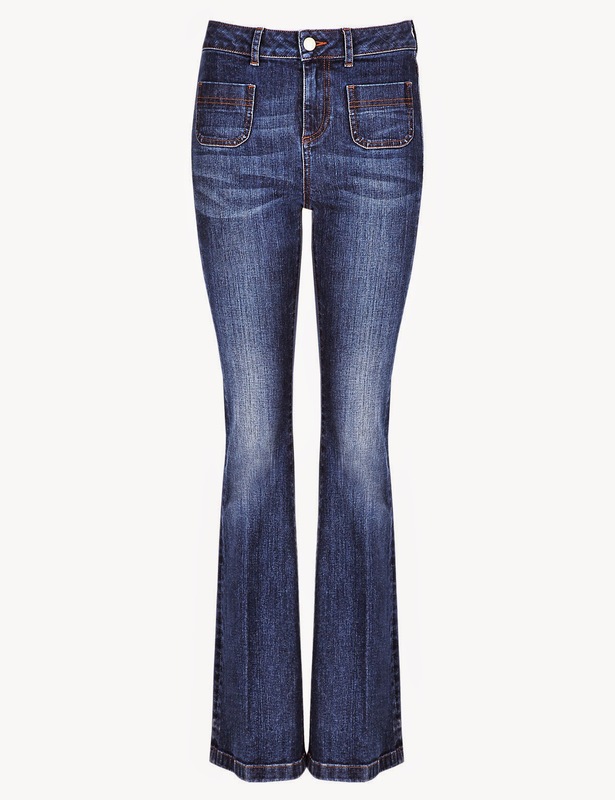 You look amazing in your flares, your legs go on forever! I ll have to dig those flares out ...again. They are in the cupboard and out of the cupboard. Never throw anything away it always comes back into fashion!